Interracial relationships have too much to be celebrated. If you are in one, happy are you. And if are planning to get into one, welcome to the club. 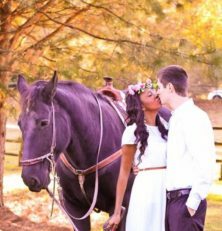 Though interracial relationships have their benefits as well, there are certain things about interracial dating that make it peculiar. If you are out there and still wondering whether to venture into interracial relationships, here are six good reasons among many more that might give you the thrill. Unfortunately, racism is still alive despite the growth of interracial marriages. There are still people who hate seeing people of different races coupling. If your beautiful match cannot change their minds about racism, at least it will make a racist’s day bad just by seeing you together. Let the hate-filled haters learn the hard way or live the hard way. Dating a person from a different race exposes you to cultures that you had never seen before. You continuously learn because learning someone else’s culture is not a one day thing. Learning about traditions, visiting a different country, seeing different or even eating different kinds of food is very enriching, especially with your significant other by your side to act as your tour guide. Yes yes! Beautiful offsprings of course! If you have always fantasized about how beautiful your mixed race children are going to be, then look no further. You will definitely fall in love with their looks and people will as well admire them. Having an all-time ally when the world seems to be against you can be the best feeling ever in a relationship. You always feel the need of sticking together when people stare and give unwanted remarks as you walk on the streets or attend parties. That support creates a strong bond between interracial couples. Maybe you and your significant other have been living next door since childhood, but still, being from a different race, each one of you have a completely different history of experiences that you will learn about when you take your relationship to another level; dating. Maybe for instance you and your partner have both grown in the suburbs but with him being white, he has no experience about the dread when police approach you, as a black. This has created natural anxiety when you see the men in uniform and from you he will understand the roots of the anxiety that comes with being black in America. Just by being in an interracial relationship, a lot of stereotypes are realised to be mere lies by those who see you thrive, exactly opposite from what they earlier believed. People around you who had some fears about interracial dating will be convinced otherwise and they may consider following suit as well. Your relationship helps people get over prejudices. These are just some of the numerous positive aspects of interracial dating, but true benefits come when you are deeply in love. Despite race and ethnic background, still there is this thing called ‘true love’ that is the root of all happiness for any couple.